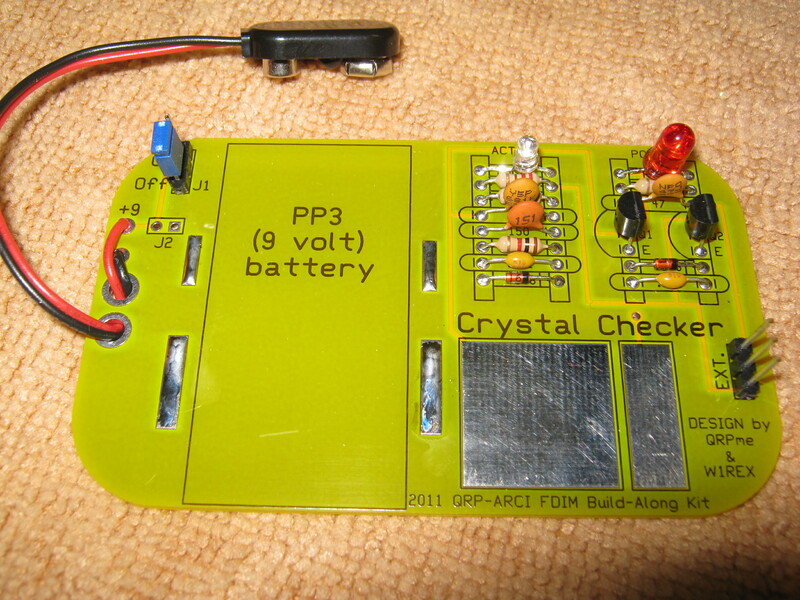 This is a simple crystal checker that fits nicely in an Altoids tin. If you are at a swap fest and see a crystal that looks good but you want to make sure it isn't a dud, this handy little checker works great. It also works great when you want to re-grind an FT243 crystal to put it on a particular frequency.